I’m sure those women, uprooted from their Virginia or North Carolina or New York homes and plopped into this sticky, albeit beachy, place, didn’t think their attempts at putting food on the table would make any waves in the local food scene. 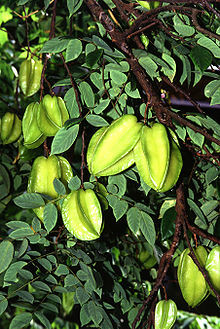 I wonder how many of the Floridian food staples can be traced back to their collective efforts, their chats at bridge about just what to do with those pesky carambolas (pictured below). Florida is one of the few places that doesn’t conjure images of signature local cuisine for me. The thought of Florida having some sort of ornate food history, traced by to Spanish and other European ancestry as well as slaves and local Indian tribes (as detailed in this book) is news to me. Obviously, every place has this. But every other time I’ve been to Florida, mostly as a kid, it was to ride roller coasters and have my picture taken with Disney princesses. What struck me most about the intro to this cookbook is the thought that a few home cooks can change the tide of local cuisine, however minutely. Now, we often notice the culinary currents shifting via top chefs at forward thinking restaurants. But I wonder how much what regular people are cooking at home for their families resonates outward, changing even what those chefs and tourists consider to be the local cuisine. It’s a fascinating thought, to me. Places that have a distinct sense of place (here I go, thinking about Italy again… this time last year I was savoring fresh sardines and limoncello in the Cinque Terre…) can often tie much of it back to a sense of local food — which is inextricably linked to local plants and wildlife and agriculture. How much of this is lost when people in places don’t cook from the food that is grown there and, instead, buy based solely on recipes instead of seasons? And how can I contribute to the terroir of the places I live, which, as a Navy wife, could be many? Maybe it looks like not only eating out at the signature places where Virginians have passed down recipes for centuries, but also trying to replicate those recipes at home. Or trying to develop a taste for what the local folks favor… hmm grits might be tough. But if I warmed up to raw oysters in the Pacific, I think I can swing it. To start, maybe I’ll go ahead and make that hotcakes recipe I picked up at Mount Vernon, via Martha Washington herself. 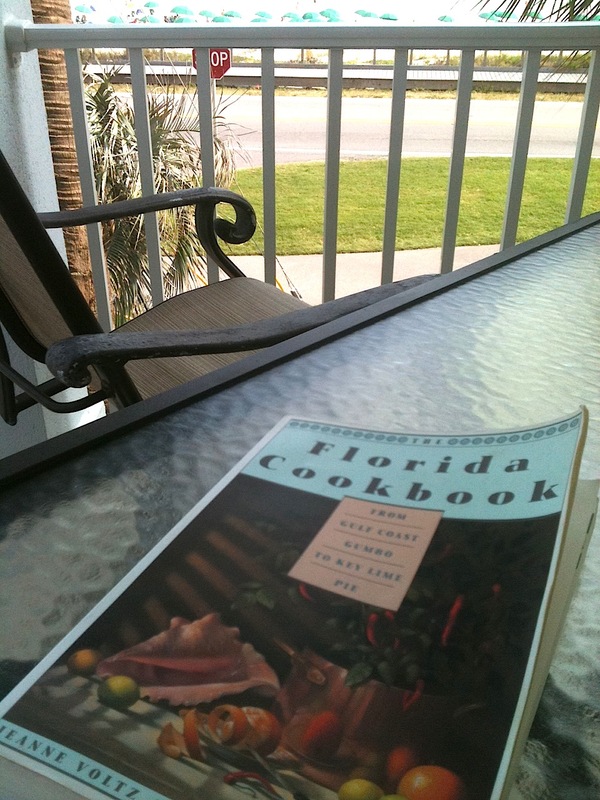 Or, while in Florida, take a stab at some Key Lime Pie or one of the many enticing okra recipes in this lil book. Or perfect the pina colada, which, to be honest, was among the FIRST things that came to mind when I hit this Florida beach. Does that count as terroir?